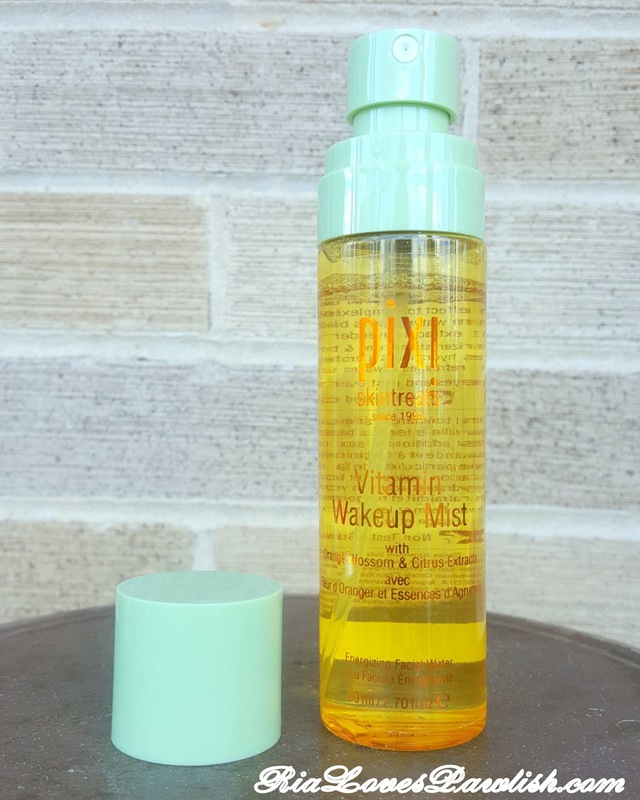 today i have Pixi Vitamin Wakeup Mist (press sample) to share with you all! it's one of the latest sprays in their line of Mists, and i'm so appreciate that i was given the chance to give it a go. Vitamin Wakeup Mist is a heavier mist, it feels like a light oil upon the skin. it is very citrusy, so if your skin is sensitive or a bit raw for some reason (like wind or sun) it will burn a bit! this is definitely a spray i would only use at home, it's way to heavy for me to use over makeup... i feel like it makes me look a little oily. i don't find myself grabbing for this one nearly as much as Pixi's other sprays... i guess i just prefer lighter sprays! Pixi Vitamin Wakeup Mist retails for $15. 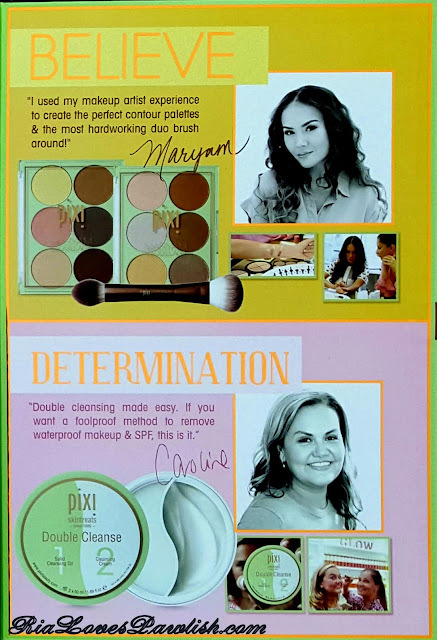 you can find Pixi products at Target stores, www.Target.com, and www.PixiBeauty.com!! 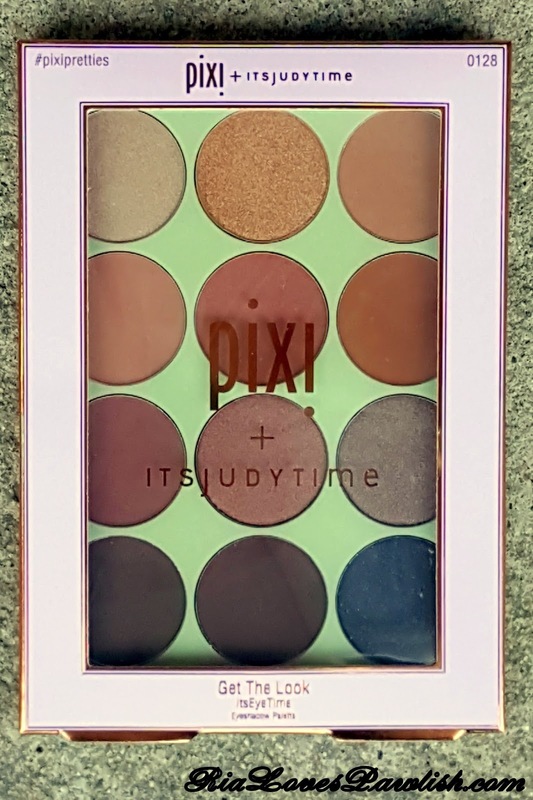 today i'm going to share two new palettes from Pixi with you all! 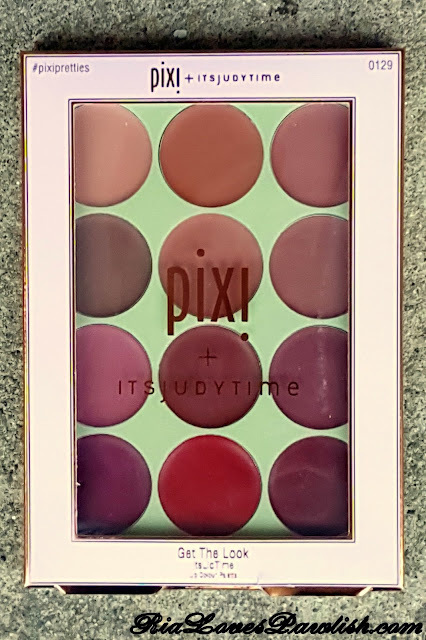 both of these Get The Look palettes are press samples kindly sent to me for review :) ItsEyeTime and ItsLipTime were developed by Pixi in collaboration with YouTube beauty vlogger ItsJudyTime! check her out HERE. let's start off with ItsEyeTime! ItsLipTime is similar to ItsEyeTime in the ways you'd expect. 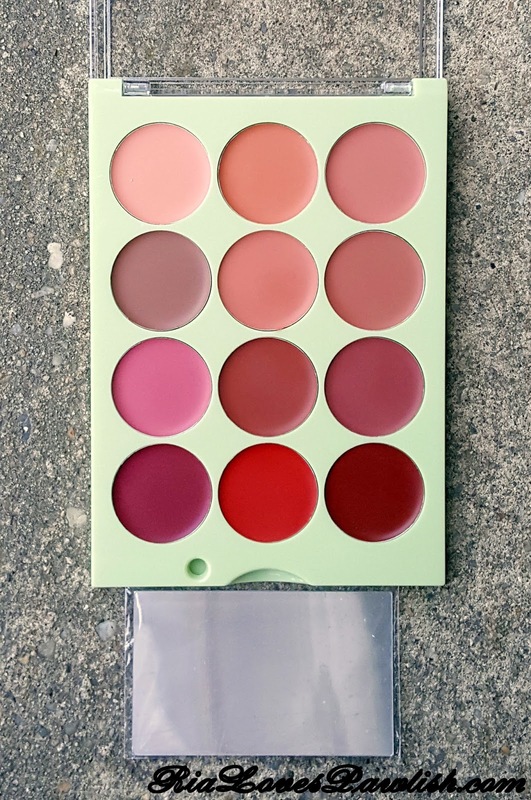 it has the same plastic packaging with stick-on mirror and 12 different lipsticks. i tried using these with a lip brush, but found them to have have much better pigmentation and to be far easier to apply with your fingers. i personally really dislike applying lip products with my fingers and generally do not use anything that doesn't come in a tube or bullet form. however, Trainer Pawlish LOVED these! 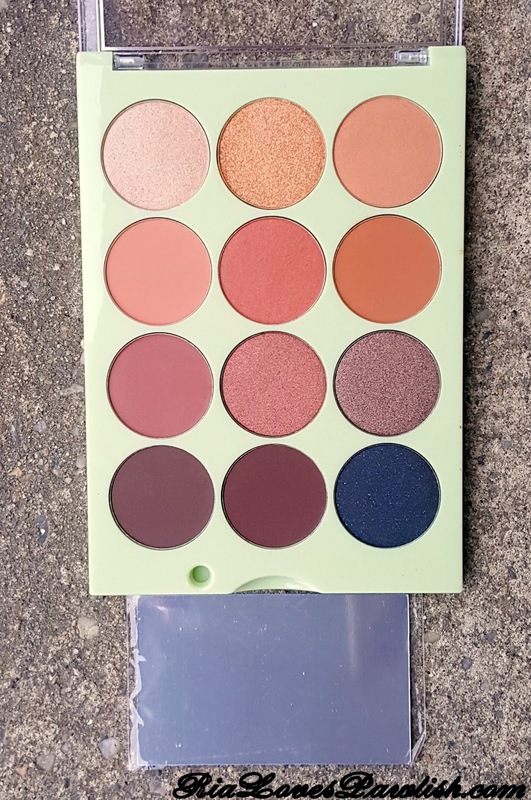 i was so happy to be able to pass this palette along to someone who appreciates it more than i do. makeup is so personal... just because something doesn't work for me doesn't mean it won't work for you :D i do like that since you have so many shades together, you can mix your own custom shade for any look you come up with. here are the palettes on Trainer Pawlish... she did this look all by herself after washing off what i had shown her! 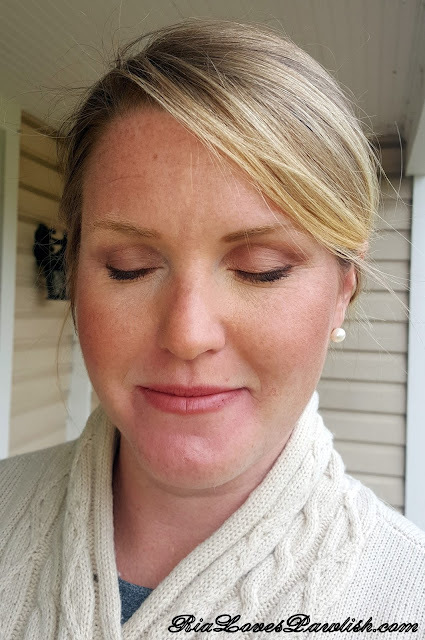 this was one of the first times she had ever applied eyeshadow, which shows just how user friendly ItsEyeTime is! both palettes retail for $24, scoop them up HERE. 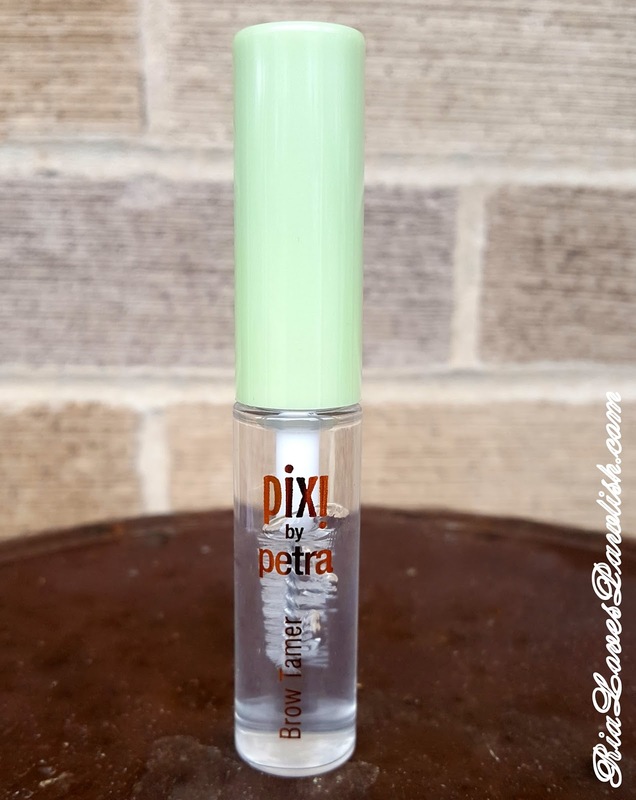 you can find them and other Pixi products at Target stores, www.Target.com, and www.PixiBeauty.com!! i'm really happy to share a new press release from China Glaze with you all! these colors look absolutely yummy, jewel tones are just so perfect for summer which i'm beyond excited for. 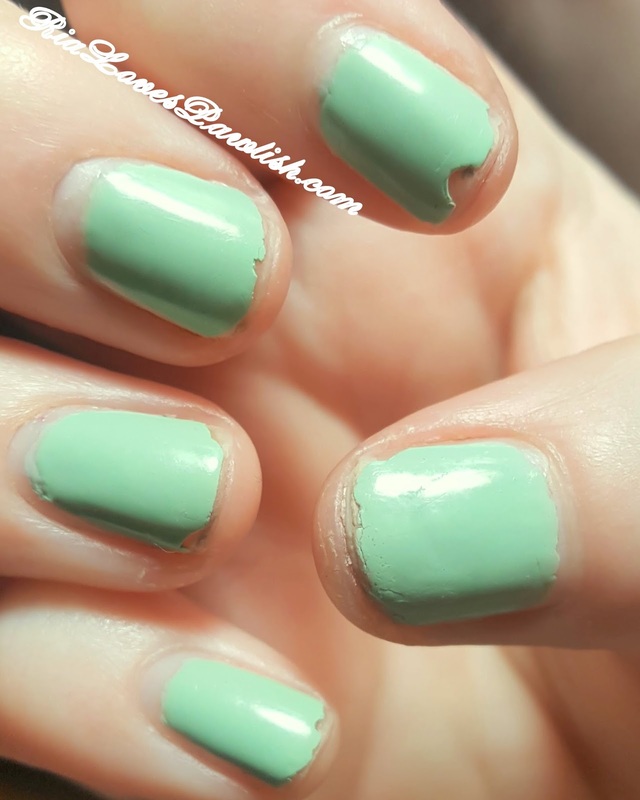 i know i don't have a lot of nail stuff on the blog lately, my nails are completely destroyed from working at a horse barn so it's hard to do swatches for you guys :) i hope you enjoy seeing what's coming up from China Glaze!! 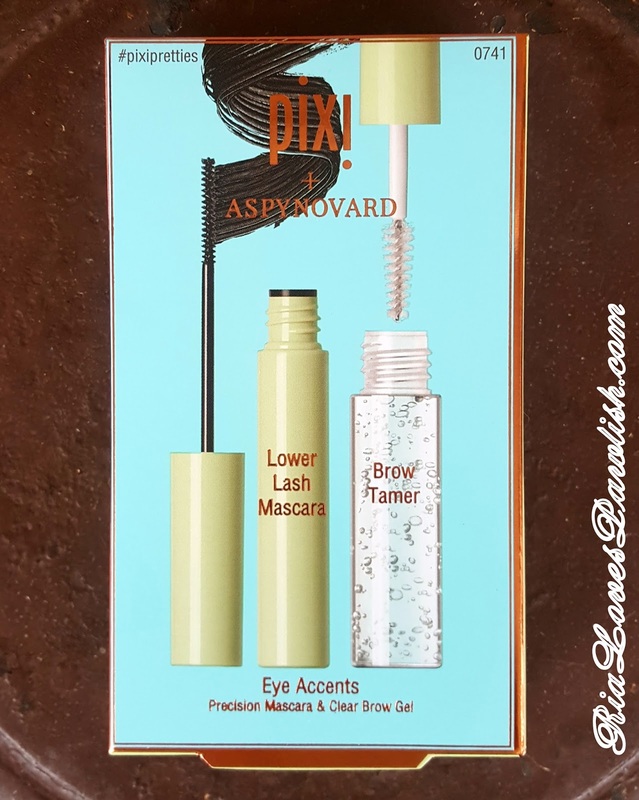 today i've got Pixi Brow Tamer from the Pixi + Aspynovard Eye Accents set (press sample) to share with you all! as you probably can tell, it's one the products that Pixi collaborated on with Aspyn Ovard, a lifestyle vlogger and blogger. you can check her out at http://aspynovard.com/ and https://www.youtube.com/user/HauteBrilliance. the Eye Accents set contains Lower Lash Mascara ($11), which i previously reviewed HERE, and the Brow Tamer ($10)! as you can see, at $16 for the set it's a total steal. 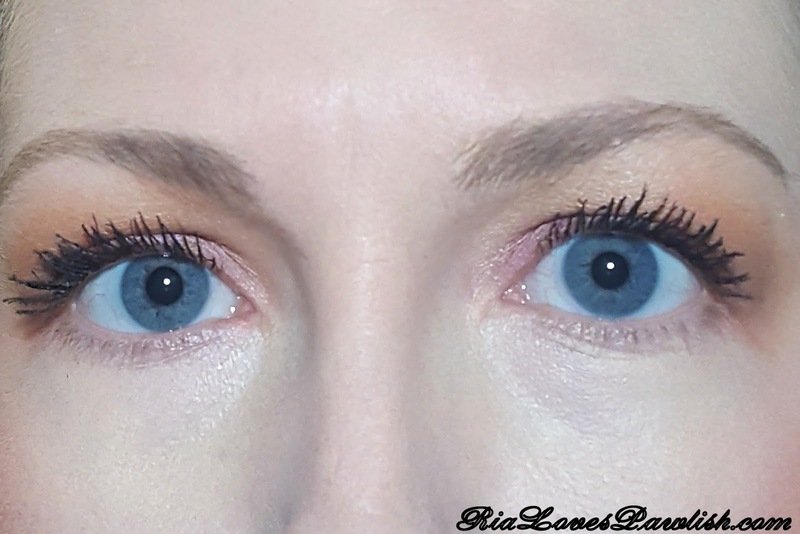 i had never tried the Brow Tamer before, but i was already a big fan of the Lower Lash Mascara and keep one in my bedroom and one in my bathroom! 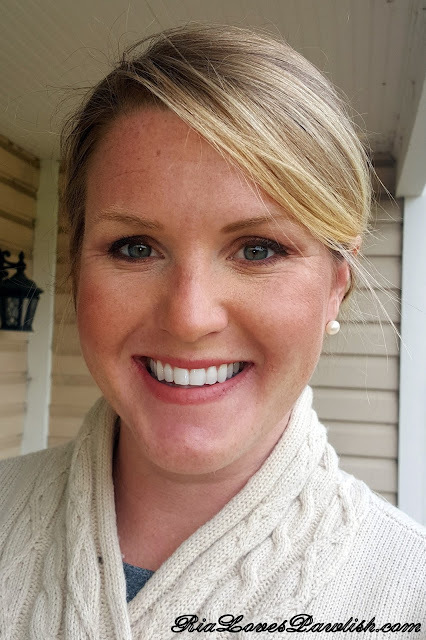 i the Brow Tamer over pencil brow products... i just can't get into powders... pencil is so easy! i love that i can whack this on and not have to worry about my eyebrow hairs getting crazy and going outside the pencil lines. i also love that the brush is quite small, much smaller than a traditional mascara brush. i really love both products in this set... but if i could only pick one, it would definitely be the Brow Tamer! i reach for it every single time i do my eyebrows... it's totally replaced any similar products. you can find this set, both products individually, and other Pixi products on PixiBeauty.com, Target.com, and in Target stores! 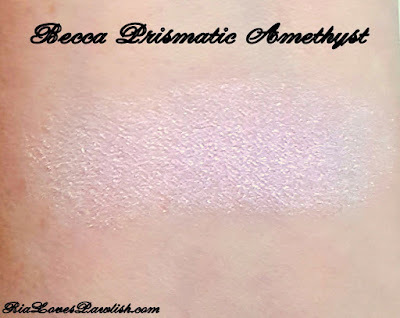 i'm excited to share Becca Prismatic Amethyst Shimmering Skin Perfector Pressed Highlighter with you all! 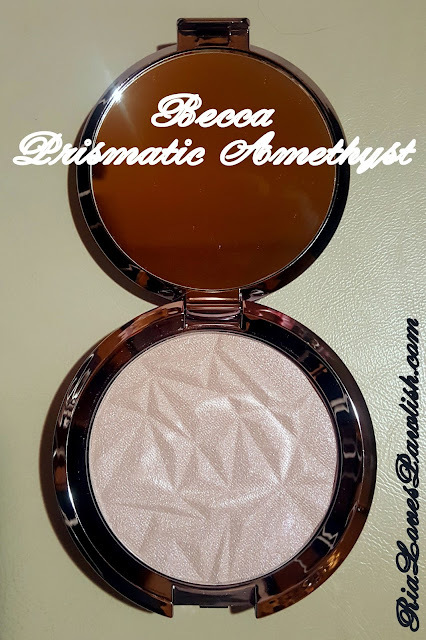 i ordered this bad boy as soon as it was available to me :D i adore powder highlighters, and this gorgeous limited edition one from Becca just had to be mine. the packaging is absolutely delicious. 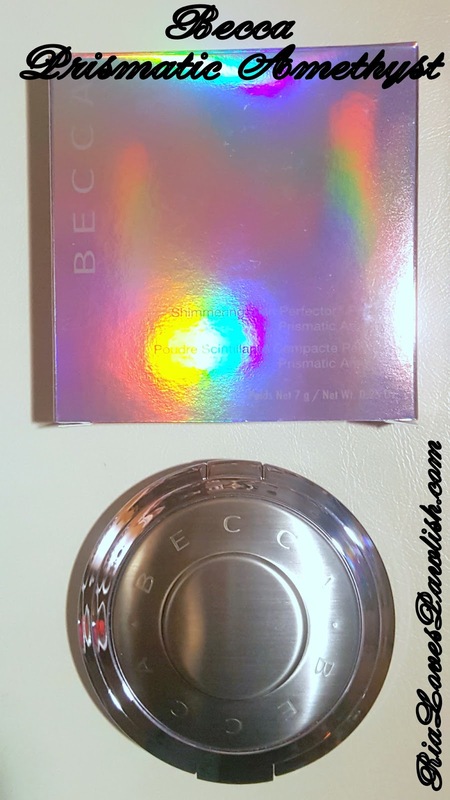 a holographic purple box which contains the compact... which instead of traditional black Becca packaging, is shiny purple! 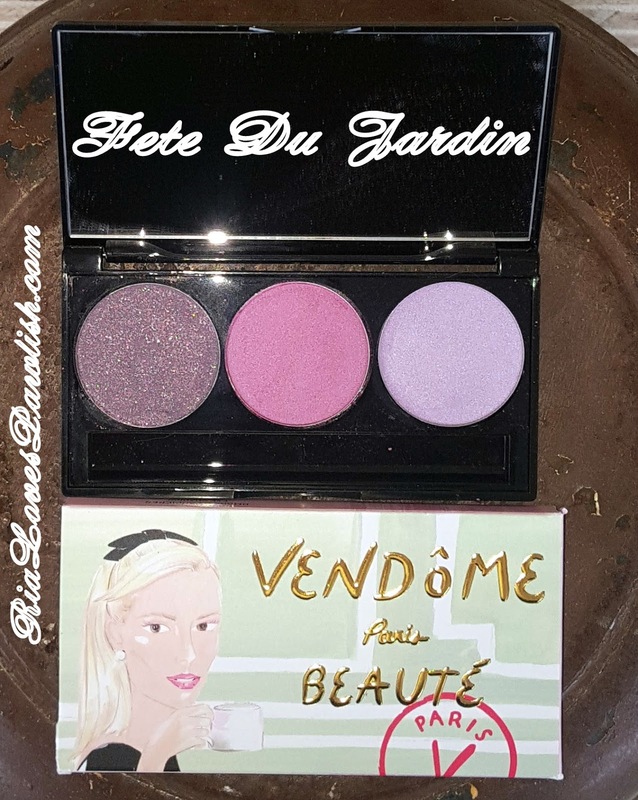 the product within the compact is a light shimmery purple/pink color with a textured pyramid designed imprinted... just so yummy! despite being called Prismatic Amethyst, this highlighter leans more pink than purple. it is sheer yet buildable enough that you can go from a slight glow to a blinding, in your face, gleam. some people have described it as chalky... i don't find it to be that way, but it does kick up a lot of powder. however, all of my Becca highlighters kick up the same way... so i wasn't surprised, and while i would prefer they didn't, it doesn't bother me that much. here's a look at it on my skin... it is SO difficult to photograph! and here's one of the looks i used it for :) it's just so gorgeous! i love that's it's just a little different... not so out there that you feel you can't wear it on the daily, but enough that gives you special little edge. i personally always want my highlighter to walk into the room before i do, so i love all the shine on this baby! what do you think of this purple highlighter? is it something you must have... or already grabbed? let me know! 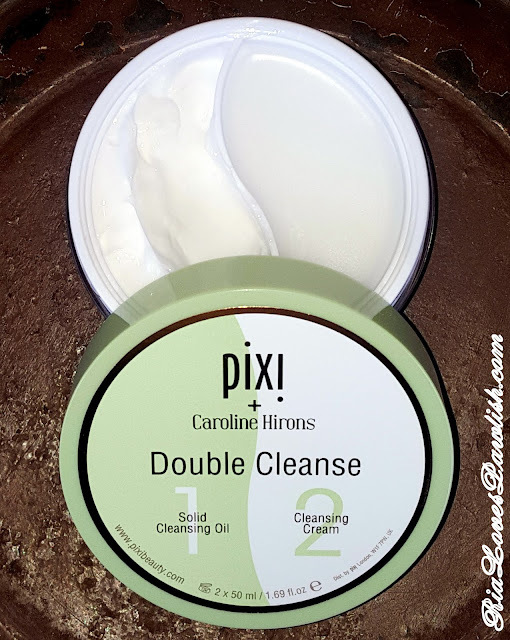 Double Cleanse ($24) is jar that contains two products... one half is a solid cleansing oil, the other half a cleansing cream. the oil is great for makeup removal, then the cream after to remove excess oil and anything else left behind. i've found that i don't care for using the oil to remove mascara, it just doesn't break it up fast enough for me. however, i do like it for for breaking up and removing my face makeup! then, when you finish off with the cleansing cream, your face feels so nice and moisturized. however, some people might not like the feeling as you can still slightly feel the remnants of the oil which may feel too heavy. my only whine about it is because of my laziness... i don't like to use washcloths and it's recommended to use a damp washcloth to remove both products. the solid cleansing oil half may remind you of Pixi's Nourishing Cleansing Balm (reviewed HERE). while both start solid and melt, they aren't the same! the cleansing oil breaks down more, so it's more liquid... and in my opinion, smells better :) i prefer the cleansing oil as melts more and just seems easier to use! 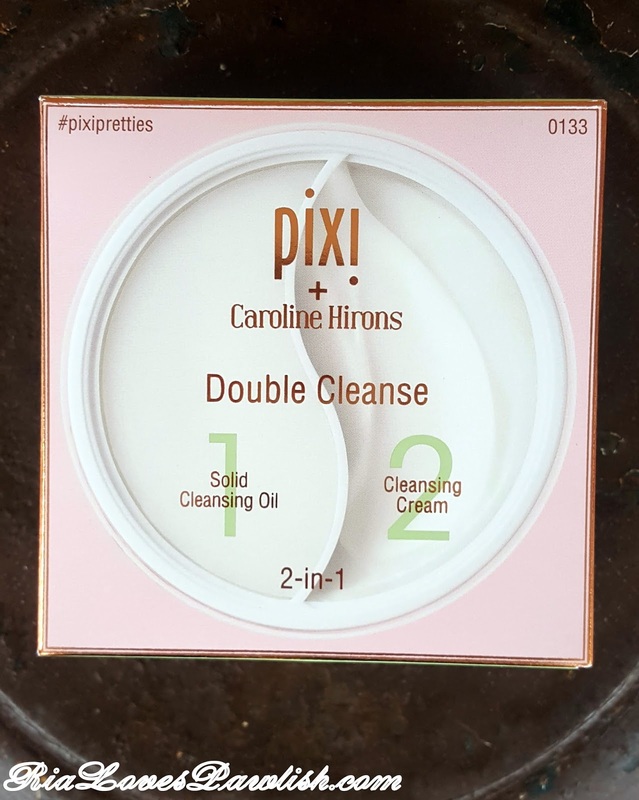 Pixi Double Cleanse retails for $24. you can find it and other Pixi products at Target stores, www.Target.com, and www.PixiBeauty.com!! Pixi Press Sample Box... Upcoming Post Previews! my birthday was yesterday! i'm officially 31... which i have to keep reminding myself because for some reason my brain has decided i'm 32. i know... it's weird :D i know some people are very secretive about their age, i couldn't care less. beauty has nothing to do with age, that's for sure! 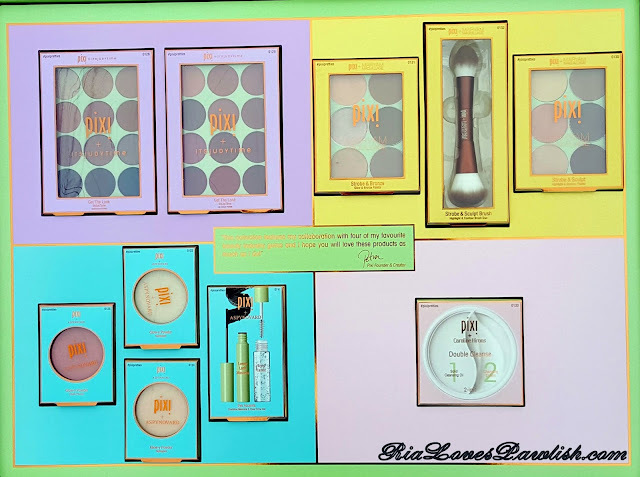 the press kit had all of their recent collaborations with well known beauty gurus :: ItsJudyTime, Aspyn Ovard, Caroline Hirons, and Maryam Maquillage. these collections are all available now! the photos are actually of a tri-fold display, with the top and bottom pictures being the foldout sides of the middle one. although the photos not the quality i'd hoped for, i think you get a good idea of what's available! 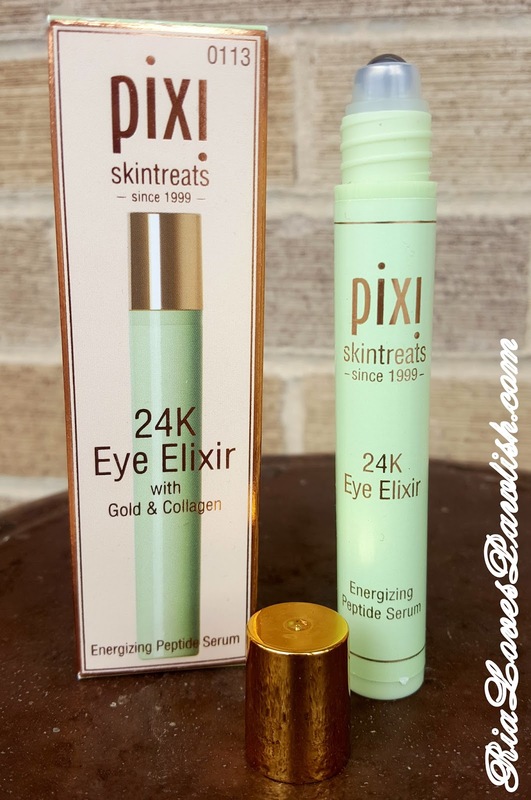 hope you liked this tiny little look at what's new from Pixi!! what looks good to you? i'm just loving this temperate weather in February! it's so lovely :) i haven't been out to the barn the past couple days though, Mr. Pawlish had the day off yesterday, and Mama Pawlish is sick :( i took her to the doctor yesterday... but they're just not sure what the issue is. i'm hoping she will be feeling better tomorrow so that i can go to work at the barn... but we'll see. i really hope she just feels better, period!! i have a new brand to share with you guys! Vendome Beaute :) right now it's mostly eye shadows, but there are other products in the works. 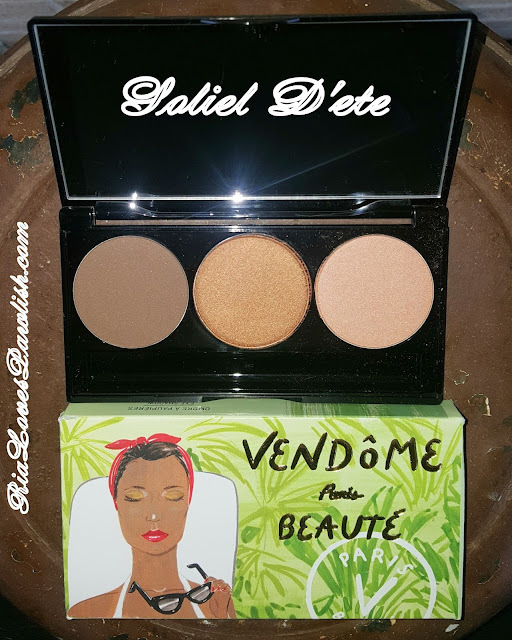 they were kind enough to send me five of their Three Well Palettes to try out and review! 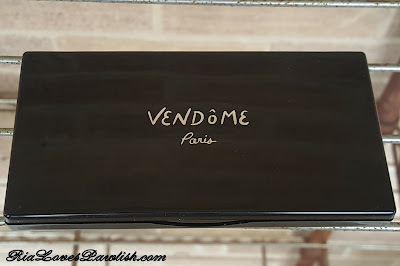 the palettes are shiny black with Vendome Paris printed in metallic silver on the top. 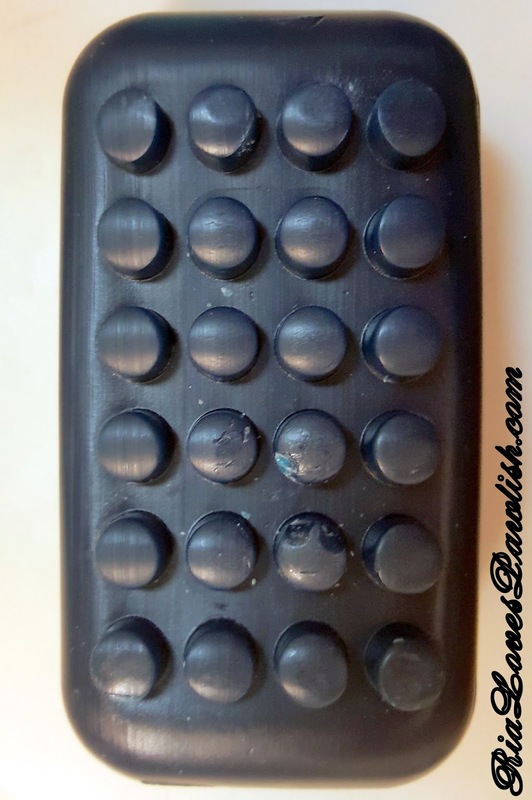 there are three magnetic wells inside, with tiny holes in the very back of the palette to make it easy to remove pans and swap them around! 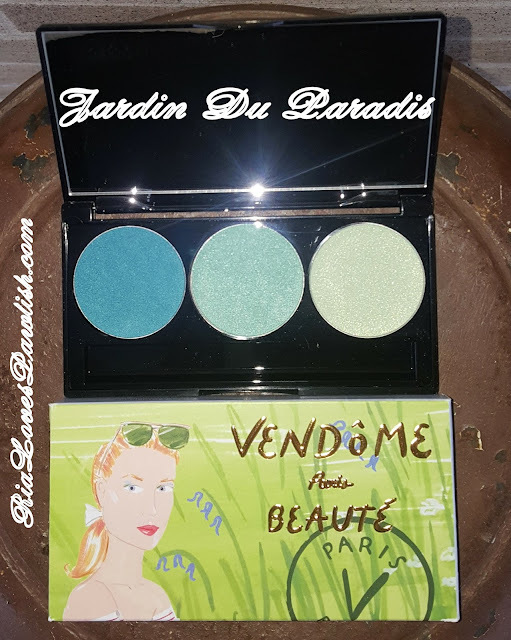 i wasn't sure what to expect as these palettes are quite spendy at $75, and the individual shadows retail for $26. they are are really nice, though! 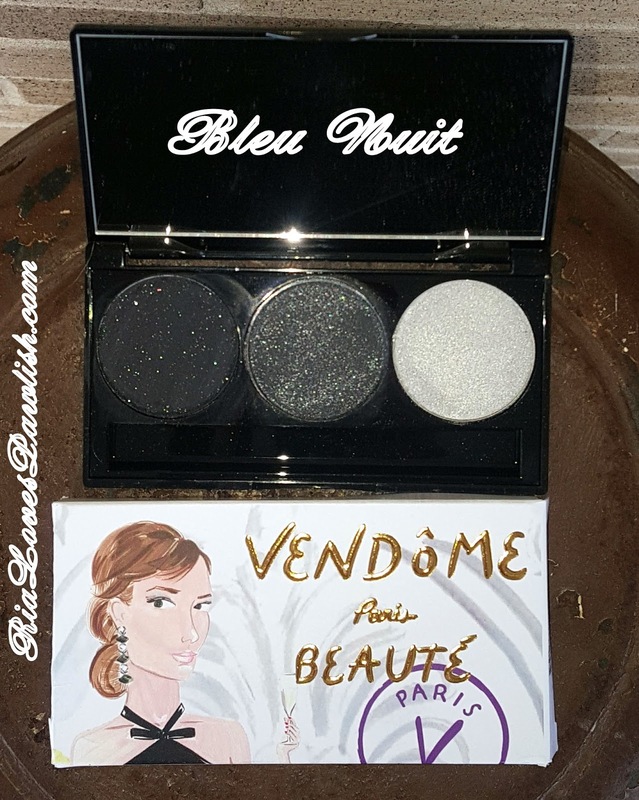 they swatch fairly ewell, but go on the eye even better, are quite pigmented, and they blend SO easily. the ease of blending is definitely my favorite part as some shadows are very pigmented but don't want to blend together and stay harsh looking on the eye. 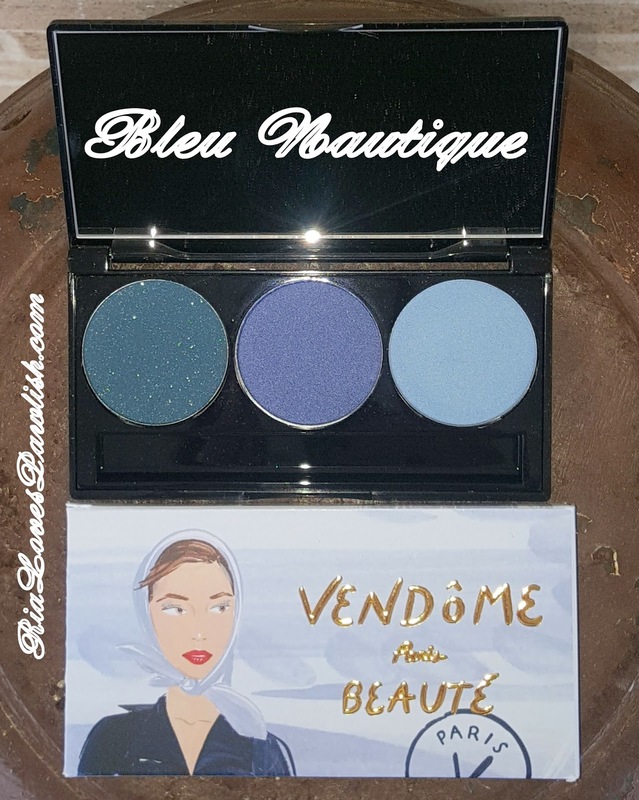 Vendome Beaute Eye Shadow easily becomes a cohesive look! i tried these both with a primer and without... they stayed perfect all day with the primer. without, there was very little creasing and fading... i was impressed! 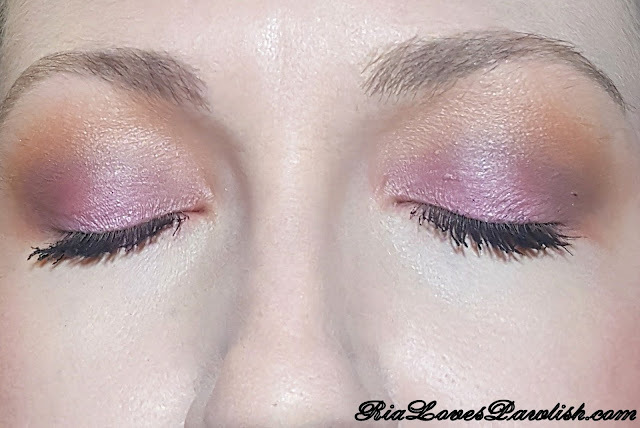 i was also impressed with how well the shadows actually applied to my lids without a primer, sometimes my lids are very cranky about taking shadow. i did put them over the slightest, slightest dusting of face powder :) they can be applied wet or dry... but i just used them dry. i can't think of a time i've ever used any eye shadow wet, actually... it's just not for me. here they are all swatched out, no primer :) they are in the same order as the palettes are above! pretty impressive with no primer, right?? last up... here's a look i did with some of the warmer colors! i got a lot of compliments on this look... the colors are so beautiful! all i have on my eyes is Vendome Beaute shadows, primer, and mascara. today was absolutely lovely! it started out super cold but ended up being a really nice day to ride. my trainer and i took horses to a state park and worked them to get them more fit. i realized i am more fit than i thought i was... but nowhere near where i'd like to be! Tucker is also out of shape, so we will be doing conditioning work together :) we ended with a super fun, super fast gallop... i love to go fast, it's the best! 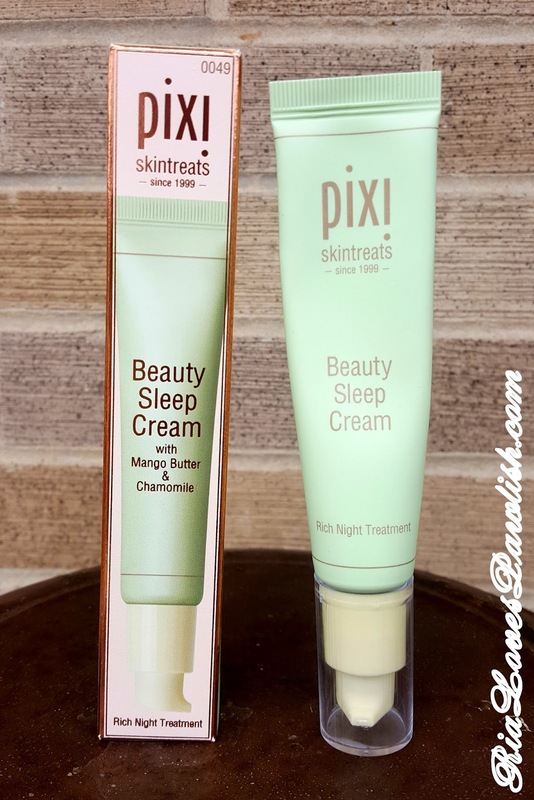 today i have Pixi Beauty Sleep Cream (press sample) to share with you all! 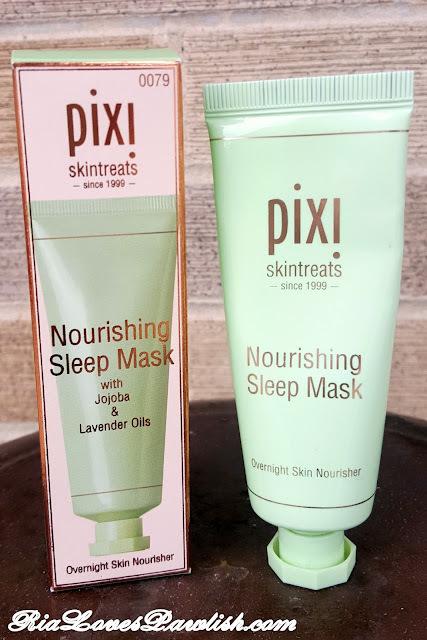 it's the lighter night cream by Pixi... i reviewed their heavier duty, Nourishing Sleep Mask, HERE. i love that this cream has a pump! pump's are absolutely my favorite dispenser for... pretty much anything :D this cream is lighter than the Pixi Nourishing Sleep Mask, but still a very moisturizing lotion... i would definitely classify it as a lotion rather than a cream as it is fairly light. it feels really nice going and sinks into the skin. my favorite part about it is the scent. it's herbal and relaxing... exactly the type of smell that is perfect for bedtime. i prefer Sleep Cream over the Nourishing Sleep Mask because it's lighter... but the real clincher is the scent! Pixi Beauty Sleep Cream retails for $24. you can find Pixi products at Target stores, www.Target.com, and www.PixiBeauty.com!! we've had two absolutely amazing days... over 70F in February?! i LOVE it!! however, it might snow tomorrow and is supposed to be in the 30sF... how is that even possible o.O Mama Pawlish hasn't been feeling well, so i'm taking her to the doctor tomorrow, and i took her today already. she's having vertigo for some reason... i hope they can stop it, vertigo is horrible! after testing out the CND Vinylux line and its promises, i have formed an opinion :) using their Weekly Top Coat on top of their Vinylux polishes did make my manicure look better much longer than usual. my complaint about the topcoat is that it doesn't stay ultra shiny throughout the by itself, it does dull. however, you can always just reapply to bring back the glossy! i did not as i wanted to see how it backed up its claims. my issue with the whole line is that it seems to dry out in the bottle very easily... make sure you have put the cap back on VERY tightly. 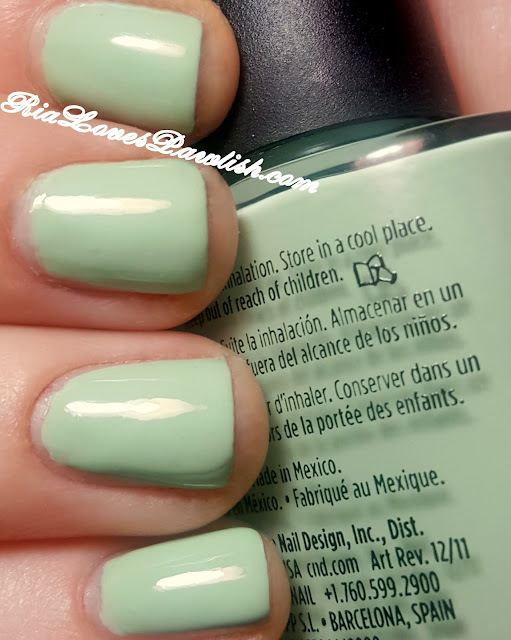 many of the bottles in the store has the polish dried into one gloopy chunk... i would definitely check to make sure it's nice and thin before buying! today i want to share the Bliss Original Blue Body Bar with you all. 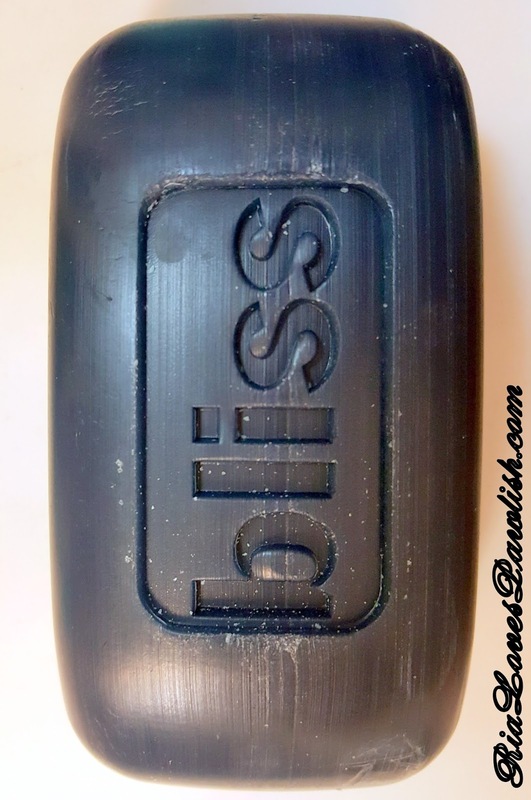 i've been trying out a lot of Bliss products lately after scoring them on clearance at TJ Maxx. this one is a shower soap bar that is very moisturizing! 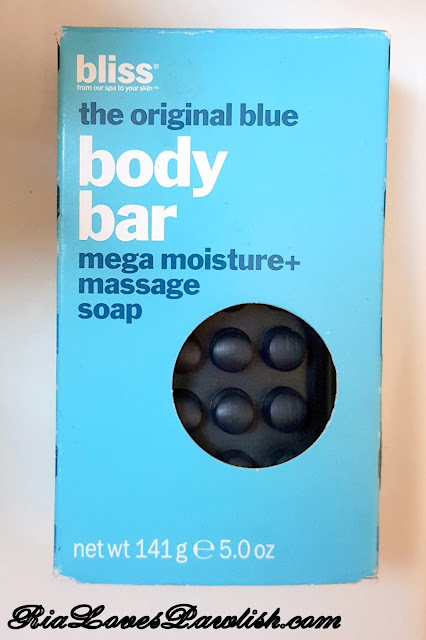 as you can see on the package, it claims to be a massaging soap. it does have nubbins on one side that do give a massaging effect... however, they wear off pretty quickly as you use the soap! then it's just a regular old bar of soap. the soap has a nice spa like scent. while it does fade after showering, it doesn't completely go away and it's strong enough in the shower that you'll want to give it a sniff to make sure you like it before purchasing! what i love about this bar is that it's very moisturizing, i don't need to use a moisturizer after getting out of the shower. it does leave a little film on the skin, i think that's part of the moisture... rubbing the excess off though is what takes off your dead skin. i find a lot less dead skin still left on my body after using this... sometimes less than if i'd used a loofah or shower brush! 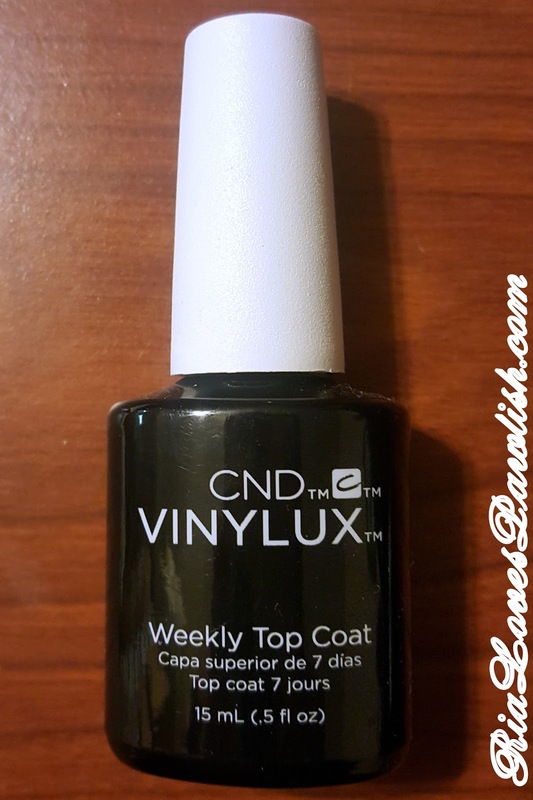 i'm currently testing out the CND Vinylux line. i got some of their polishes and the matching Weekly Top Coat at TJ Maxx and on clearance at Ulta... they are super spendy ($10.50) at full price! CND Vinylux Azure Wish is a muted sky blue with an ultra hidden pearl shimmer. upon super close examination you can see it, but mostly it just looks like a creme. 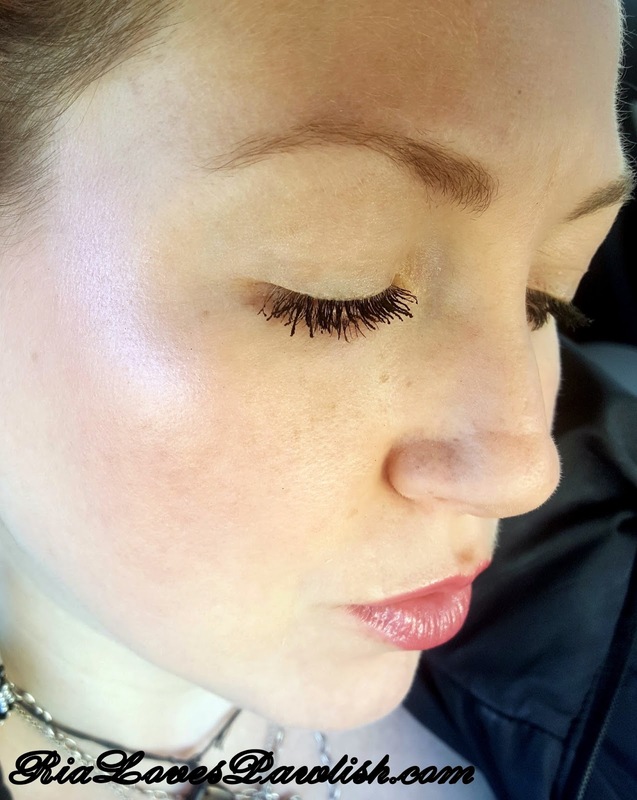 the pearl shimmer does make it catch the light more, though! i used two coats... but depending on how you apply one may be all you need. 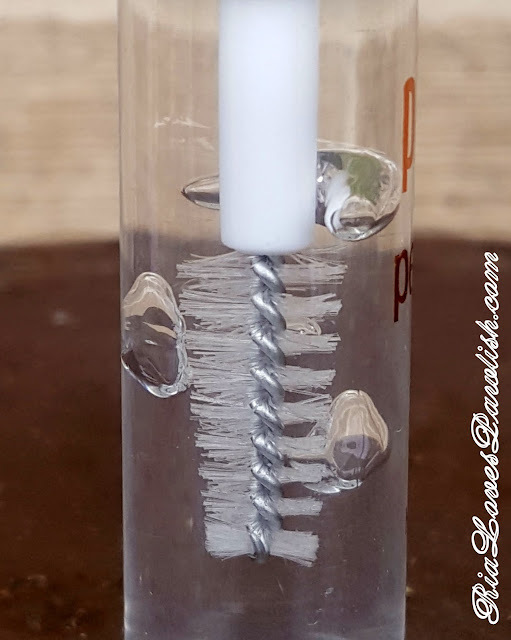 the formula is thick which makes it slightly hard to work with... but it's quite self-leveling and doesn't give you all those nasty bumps and bubbles that some thick polishes do. the only flaw i saw is a tiny little popped bubble or two which looks like a little hole! i think the Weekly Top Coat definitely is necessary to help it dry and give it the almost flawless finish it has. 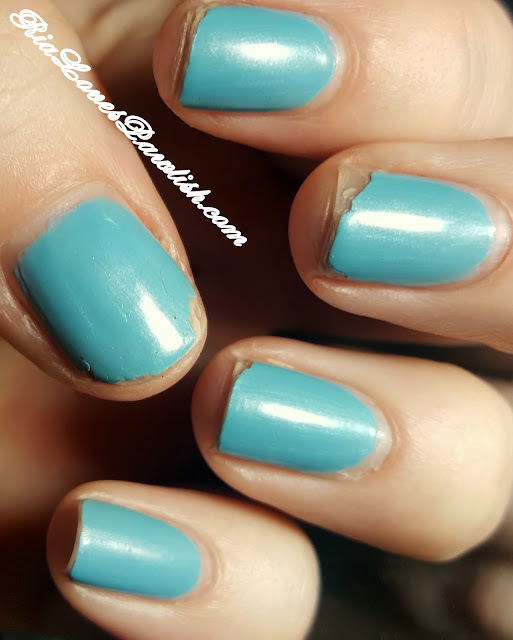 two coats Azure Wish, one coat Weekly Top Coat. you can check out CND products on their WEBSITE. 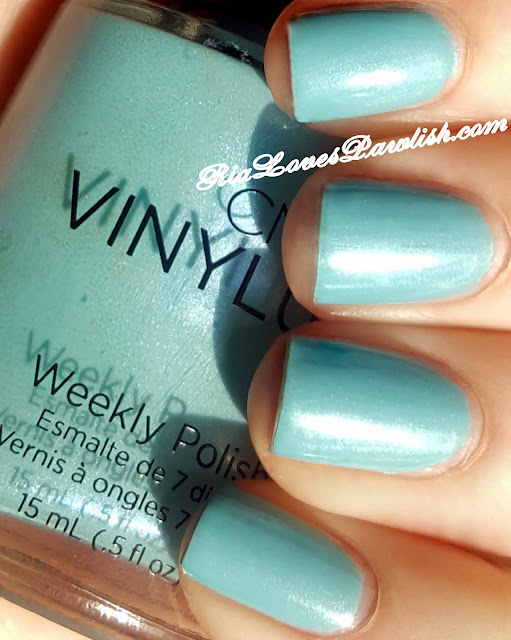 i will probably be buying their Vinylux line from Ulta and Ulta.com, where they retail for $10.50... but i will definitely be checking for them on the clearance rack! 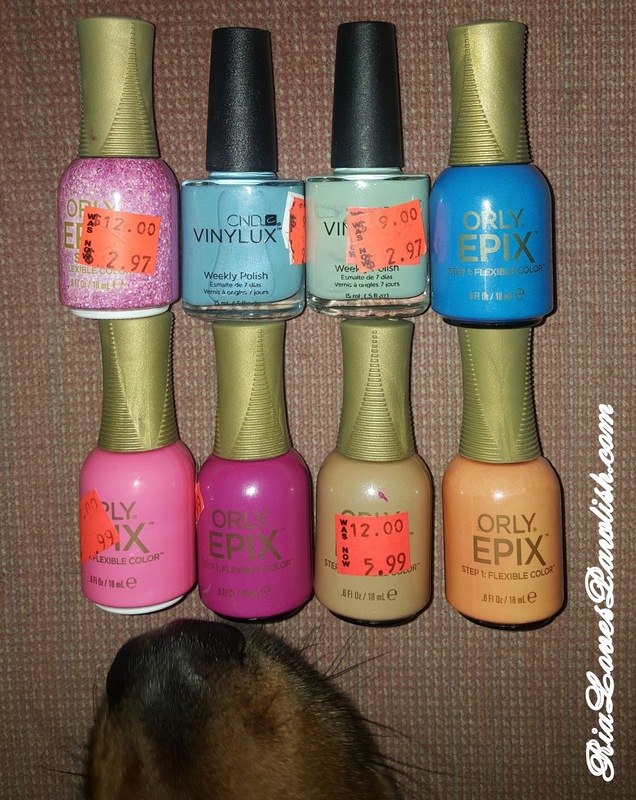 i wanted to jump on here and tell you about some STEALS on clearance nail polish at Ulta! they have some really spendy brands marked down to only $2.97... crazy. i was really excited about the Orly Epix (which retail for $12!)... turns out they are fantastic and i love them and i PLAN to review them soon. fingers crossed. sorry i didn't take a picture of the display, but i think there was a little something from most of the brands Ulta carries! hope you guys are well and 2017 is lining up to be a fantastic year!